(04-21-2015 11:16 AM)Hans Wrote: [ -> ] What is the URL of your site? 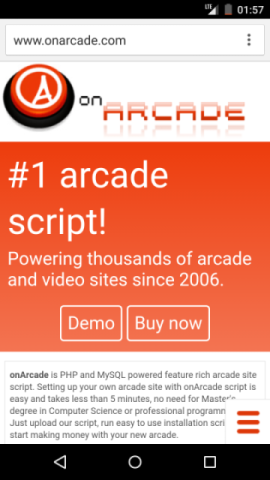 It is more difficult with onArcade script, because there are lots of sites with different templates and there is no way of making them universally responsive. But I understand the problem with google and I will try to come up with a solution.